At the age 16, Professor N.R Krishnamurthy had darshan of Bhagavan Ramana. That was in 1914. Eight years later in 1922 Professor Krishnamurthy had completed his M.S. in Physics. He went and met Bhagavan again. By this time Professor Krishnamurthy was an agnostic and put a question to Bhagavan that he felt could not be answered. Bhagavan, however, answered with a counter question that transformed Professor Krishanmurthy but also created fear in him of Bhagavan. Professor Krishanamurthy did not go see Bhagavan Ramana for 12 years. He was then a Physics Professor. Now the interview continues. I am now ninety-two years old and I first met Sri Ramana Maharshi in the summer of 1914, when I was just a boy of sixteen. We were then on a pilgrimage to Tirupati and had halted in Tiruvannamalai, from where my grandmother hailed. We were not strangers to this town. In the pilgrim party there were half a dozen boys, all of whom were about my age. We all decided to go up to Virupaksha cave. The Maharshi was then residing there and was attentive to all the activities of us youngsters. I noticed his gaze particularly focused on me. We were all playing with the conch shell. The sadhus used to blow this shell like a horn when they went into town to beg for alms. Spiritual Heart is an important topic in Bhagavan’s teachings and comes up again and again. 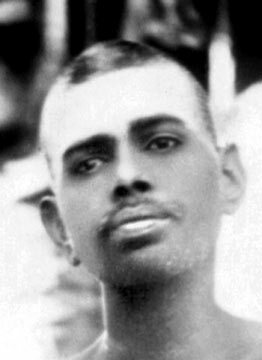 Arthur Osborne, a close devotee of Bhagavan Ramana said that while doing self-inquiry, he tried to focus on the spiritual Heart-center to the right of the chest. 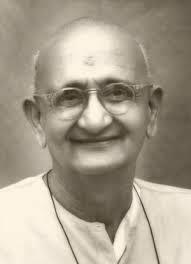 However, I have heard some scholars on Ramana’s teaching say that the Bhagavan did not recommend meditating on a specific location and that Arthur Osborne may have misunderstood the essential method and Bhagavan’s teaching. Is it necessary to meditate on the Spiritual Heart center in order to become Self-Realized? Some well known people like Nisaragadatta Maharaj and Krishnamurthi never mention the Heart in the same way that Bhagavan Ramana does. What is the explanation for this? 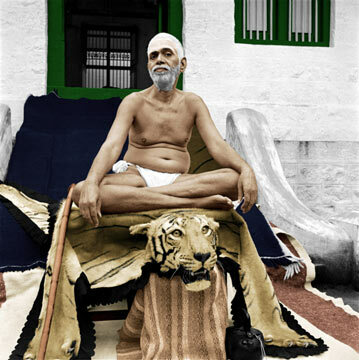 Over a period of more than half a century, some of the greatest yogis and sages of India and even a few Shankracharyas had the good fortune to visit the Sage of Arunachala, also known as Bhagavan Sri Ramana Maharshi. The list of luminaries who sought Bhagavan’s grace over a period of 53 years would be too long to recite in this short piece. Swami Ramdas describes how he attained the Divine Vision through the Grace of the Bhagavan Sri Ramana Maharshi. 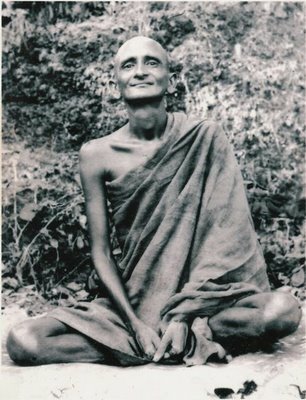 Swami Ramdas was called “Papa” by his devotees.